Storage vendor reports increased profitability as it prepares for multi-billion dollar acquisition. EMC has reported encouraging financials ahead of the company’s crucial shareholder vote this week, as the vendor targets strategic markets and profitability ahead of its upcoming acquisition by Dell. With the largest technology merger in history pending approval, the storage giant reported strategic successes during 2Q16 that it can build from as it continues toward its landmark expected integration into Dell. After a full year of bottom-line declines during 2015, EMC notched a second consecutive quarter of year-to-year net income improvements during 2Q16, rising 160 basis points to 9.7 per cent, supported in part by cost restructuring initiatives but also by heightened monetisation of investment in strategic solutions areas. 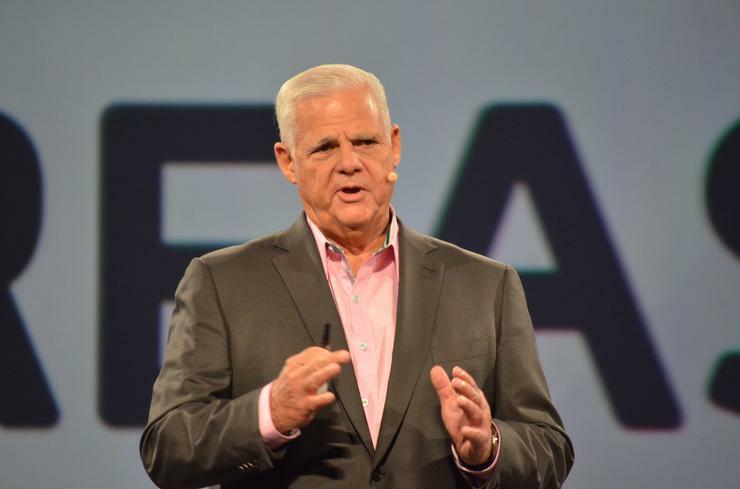 “We had a strong second quarter and are well positioned as we look forward to combining with Dell to establish the world’s largest privately-controlled, integrated technology company,” EMC Chairman and CEO, Joe Tucci, said. Despite the results, revenues within EMC’s core storage business, EMC Information Infrastructure (EMC II), continued to struggle against evaporating demand for high-end, stand-alone spinning disk arrays, shrinking four per cent year-to-year during 2Q16. However, declines lessened compared to the prior two quarters as EMC’s broad hardware portfolio refresh during 1H16 sharpened its ability to accommodate burgeoning customer demand for faster and more efficient performance of data-intensive workloads, as well as reduced storage management and complexity. Notably, EMC reported that demand for its all-flash array offerings grew 100 per cent, exceeding a $US2 billion annual run rate, and that demand for its converged infrastructure grew 40 per cent, buoyed by adoption of EMC’s revamped hyperconverged portfolio. “We consider these success points crucial, as we anticipate a tipping point in storage industry revenues to flash-based solutions by 2020, and expect global hyperconverged revenues to grow at a 50 percent CAGR from 2015 to 2020,” Technology Business Research Senior Analyst, Krista Macomber, said. In addition to slowing declines to core hardware revenue pools, Macomber said EMC’s foray into next-generation datacentres is enabling the vendor to make incremental progress in shifting its differentiation and revenue base toward more profitable and sticky software and services offerings. “EMC noted that demand for its Virtustream Enterprise Cloud managed services grew by triple-digits year-to-year during 2Q16, albeit from what TBR believes was a small base compared to pieces of EMC’s portfolio that have longer-standing tenure in the market,” Macomber added. Going forward, Macomber recognises EMC’s positive momentum, but also substantial headwinds to overcome during the next 12 to 24 months. “As the company continues its push into cloud-native applications, it will encounter increased challenges as a result of its limited history competing as a stand-alone software vendor and as a provider of high-value services - as well as due to VMware’s spotty history in providing public cloud services,” Macomber added. “Especially considering Dell’s plans to sell the majority of its own services and software assets, TBR believes there is substantial pressure on EMC to collaborate closely with Dell to overcome these challenges. Ultimately, Macomber said the combined company’s keys to success are overcoming uncertainty and executive changeover in the channel, and keeping a sharp eye to careful management of alliances with third-party technology and service provider partnerships – beyond the challenges of integrating disparate technologies and direct selling cultures.